It might sound counter-intuitive, but filing for personal bankruptcy is expensive. Besides paying attorney fees, a debtor must also pay the court costs associated with filing the bankruptcy petition and accompanying documents. Then there are the expenses associated with attending the mandatory pre- and post-filing consumer credit courses. So when presented with the opportunity to save a few bucks by hiring a bankruptcy petition preparer (BPP) to draft your bankruptcy petition and other required documents, you might wonder why you would pay an attorney to do the “same job”. There are, in fact, several good reasons to retain an attorney to prepare your bankruptcy paperwork rather than hiring a BPP to do so. Or, presented another way, there are many potential pitfalls of hiring a BPP to do the job. When Congress enacted broad amendments to the U.S. Bankruptcy Code in 2005, it also added new sections. Among them is Section 110, which established guidelines of required ethical behavior for BPPs and penalties for those who negligently or fraudulently prepare bankruptcy petitions. Under the Code, a BPP is a person other than an attorney or someone who works directly for a supervising lawyer, who prepares, for compensation, bankruptcy paperwork intended to be filed in a United States bankruptcy court. 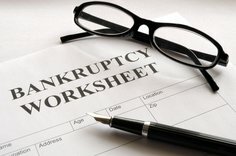 One of the major drawbacks of hiring a BPP rather than a licensed bankruptcy attorney is that the BPP is prohibited from offering legal advice. This means, for example, that if you have a question about how a specific aspect of the bankruptcy code might impact your case, only the lawyer is permitted to answer. The BPP is not. Another pitfall to hiring a BPP is that they cannot even advise you which chapter of bankruptcy might best resolve your financial situation. That information is also considered legal advice, so only a lawyer can give you those directions. Would you like to go to bankruptcy court with a lawyer or by yourself? If you hire a BPP, it’s likely you’ll be there alone because BPPs are not permitted to represent clients in court, although lawyers are. You might have read every book about filing personal bankruptcy before you hired a BPP to prepare your petition and other accompanying documents, but it’s not likely you or your BPP will know and adhere to the Local Rules in effect in your jurisdiction. Just what are Local Rules? They are guidelines established by each bankruptcy court that govern matters such as when a debtor’s paycheck stubs must be filed with the Court. While hiring a bankruptcy petition preparer might save you money in the short term, it won’t offer you the opportunity to make the best possible decision nor the peace of mind that you will get from retaining a qualified, knowledgeable bankruptcy professional.